SOON TO BE A WATTPAD PAID STORY. 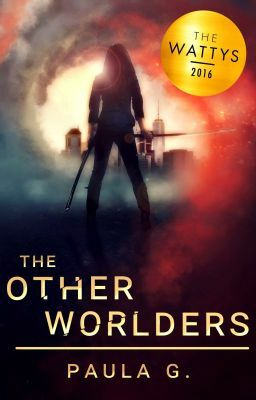 Readers of The Otherworlders' favorites include Harry Potter, Percy Jackson, Teen Wolf and The Mortal Instruments. Take all that goodness and attack the cultural, racial, and gender politics of today and you've got The Otherworlders. **** Wattys 2016 Winner **** Featured in 2018! THERE'S MORE THAT BINDS US THAN TEARS US APART: Forced to call a truce to the Shadow Wars, overcome their hatred for each other, and band together to fight off a much greater threat, Vampyrs, Enchanteds, and Shapeshifters send their most promising teenage students to the first ever Otherworlder Integrated Academy. The goal? To turn these students into warriors who can fight off a demon horde while hunting down an ancient tablet containing the only spell that can save their world from annihilation. These nine students--Farid, Sebastian, and Fiona (Vampyr); Patrick, Jake, and Ava (Shifter), Aidan, Cameron, and Inez (Enchanted)--will clash, bond, laugh and love as they overcome their cultural differences and work together as a team to take on the greatest threat the Otherworlder realm has ever known. NOTE - This story uses a modified script format and is structured like a TV Show with scenes, episodes & everything. It's a different form of storytelling on Wattpad, but readers seem to dig it. IMPORTANT - If you do check it out, try reading up through Episode 1.6 to get a true sense of the story (In total, it's about a 10 min. read) and if you like what you read, then through Episode 3 to get a sense of the depth and scope of the season. Lastly, THIS IS A FIRST DRAFT. I edit it when I can, but if you see something off, feel free to point it out, just don't be mean about it. :-) Thanks! Occasional strong language and sexual situations. © Paula G.